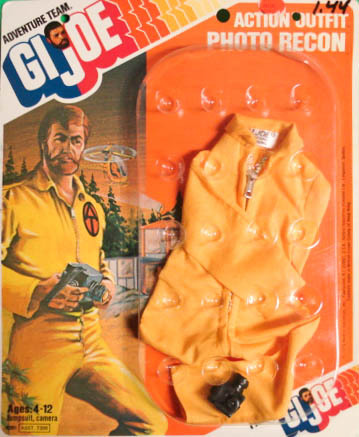 Released in 1974, Photo Recon (7309-4) replaced Winter Rescue in the Action Outfits line. 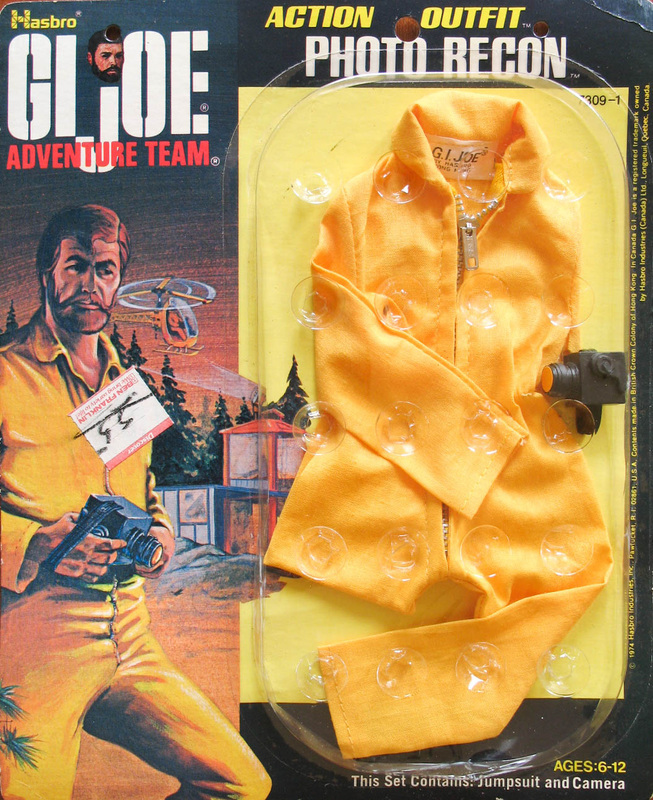 A simple yellow jumpsuit, it is not to be confused with the Action Pilot's earlier goldenrod jumpsuit. The accessory included is the camera that was initially sold with the Astronaut set, that also made a brief appearance in the Copter Rescue set. The 1975-76 version at the bottom comes to the site courtesy of a great Joe, Paul Nordstrom. Check out his collection here.